At a recent workshop hosted by Tent City Uni outside St. Paul’s, a group of campers and folks working in the broader Occupy movement came together to reflect on the current climate of the movement and what the future might hold. In the US and Canada few outdoor camps remain, many cleared by forceful evictions. Occupations of foreclosed homes and plans to takeover disused buildings are now in the works for many North American groups. Meanwhile, in the UK, winter months loom longer and outdoor infrastructures are becoming increasingly difficult to maintain. Two indoor occupations in London at Bank of Ideas and Occupy Justice now house a number of campers and a diversity of activities and events. Local Occupy contingents also continue their work in towns and cities across the country, with London seeing its first Occupy Hackney event on December 15, 2011–an area in East London with one of the highest rates of unemployment. 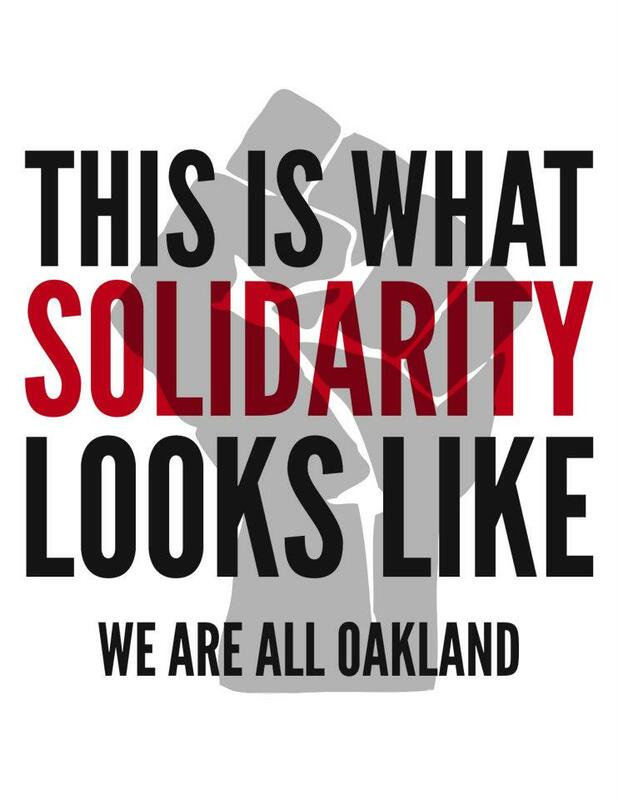 While the movement has largely fallen out of the mainstream media frame, actions, meetings and plans for the future of Occupy continue to unfold across local and transnational networks. 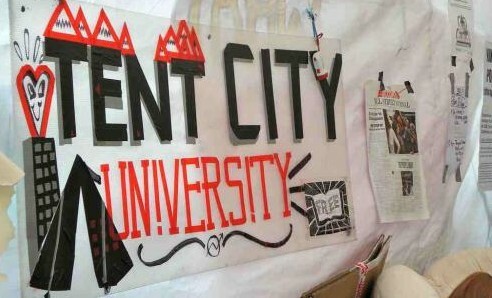 Discussions of what Occupy will be in 2012 are taking place in tents, squatted buildings and online social forums. “In its raw energetic sense The Future of Occupy is a creative outcome that continues to unfold in the daily life of the global Occupy Movement, from moment to moment. For a couple of months now, in the aftermath of the original mid-October explosion of Occupy camps all over the world both Occupy-ers and onlooking commentators have been asking the same question: “where is this movement heading?” In the presence of this inquiry a rather organic growth of the movement has been naturally unfolding. Its members are learning from each other and formulating proposals, statements and potential solutions to the economic and democratic crises we all face. All day, evening and night – the General Assemblies and their myriad working groups, passionate and warmly accommodating, explore the diverse sets of ideas and solutions that may or may not create the real democracy and real economic harmony the protest camps were erected for. Alongside the growth of on-site forums, the proliferation of online exchange through Occupy websites, online forums, email lists and the like, provides the potential (at least) for continued unbroken discussion beyond the geographic limitations of where one happens to be. The Occupy movement has by its very nature been proactive and committed to seizing the winds of change beginning with Wall Street, throughout America and then spreading around the world the same energy of reclamation ~ that we must take back what is inherently ours ~ our democracy, our economy. This same spirit is expressed within the camps, its general assemblies and working groups, creating a strong sense of solidarity. As this energy is put to use in highly engaging, uplifting and communal ways many positive human qualities are being reclaimed. The restoration of mutual respect, compassion, deep listening and appreciation for all views among peers and newcomers alike, create spaces where a great amount of shared learning is occurring. Yet as time goes by, and complexity increases there is heightened potential for natural tensions to surface alongside disorganization, reproduction of old ways of life including social divides that the movement set out to transcend. It is here that we currently stand, able to produce positive outcomes but also facing divisive tensions that work against us. As we contemplate the start of a new year, it is perhaps now more than any time in the year that we realise as human beings that we are not only proactive… we are also reflective. As the movement grows there are an increasing number of Occupy websites that focus on the action, what is happening, the breaking news, but few that address the need for collective self-reflection. It’s true that there have been countless workshops given at the camps which encourage reflection especially in regard to how we relate to each other, but they operate in a sea of action and events, much in the same way that life outside the camps continues – action after action, completing our tasks without pause, incessant activity. If we are to bring awareness to our cultural shortcomings (a by-product of the old world) and amplify our impact in the new year it is time to sit down and think together about our ways of relating to each other and managing our affairs together. This entry was posted in occupy, protest camps, social media and tagged future of occupy, movement building, occupylsx, tent city uni. Bookmark the permalink.